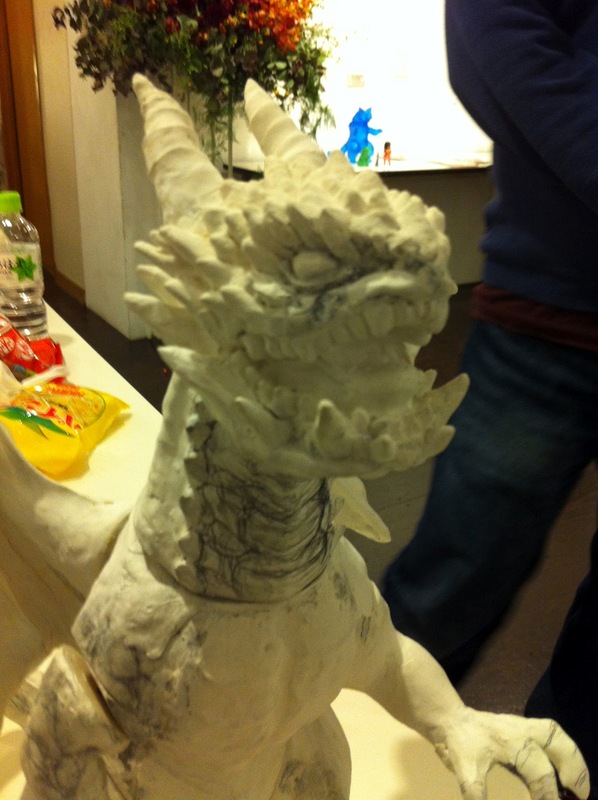 Dream Rocket Kaiju Dragon WiP !! 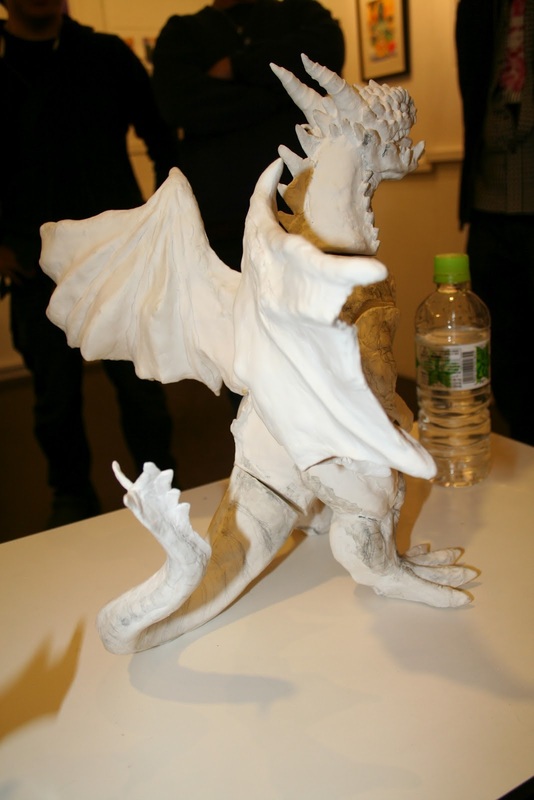 On my recent trip to Tokyo, met up with Yajima-san of Dream Rocket .. and he showed me this work in progress ( WiP ) sculpt of a western style Dragon !! While he has many more weeks worth of work, adding many more details, such as scales, pores etc … I have to say I got VERY excited about this figure ! 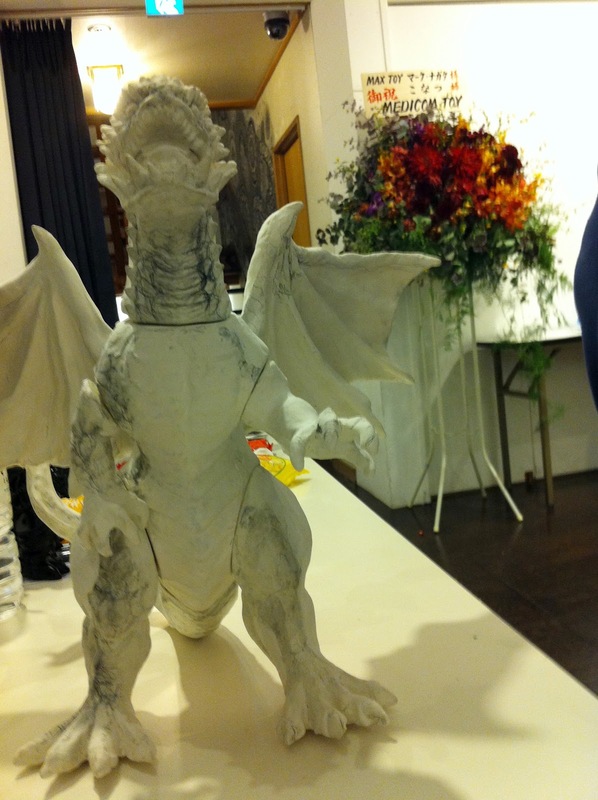 It will stand about 17 inches tall .. and nearly as wide .. just look at the wing span !! 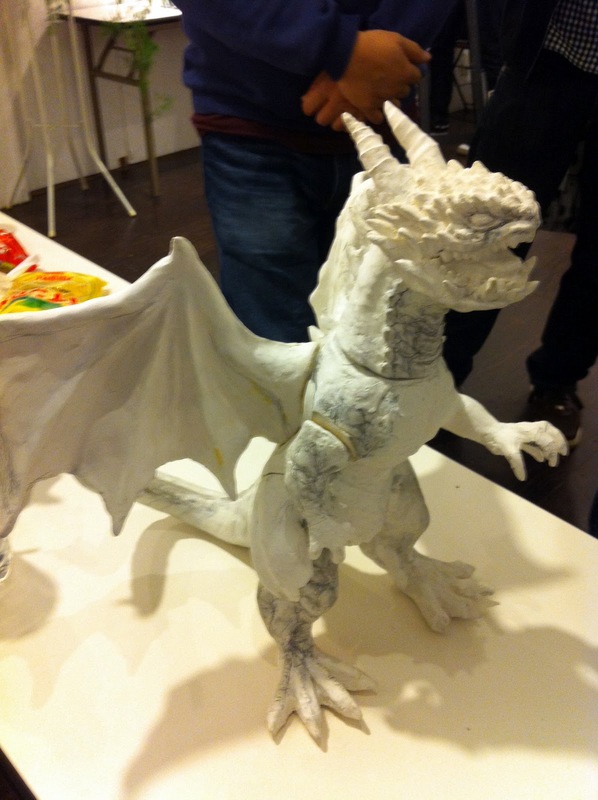 The paint possibilities are nearly endless on a giant sized figure like this .. really cool ! Oh on a side note, he let his web site url lapse, but no he has not gone out of business ;-P In fact, he about to be married, so congratulations ;-D !!! Above, I love the flow of the tail and body to head, it’s a bit hard to see from these pics but the figure looks like it will take off ! 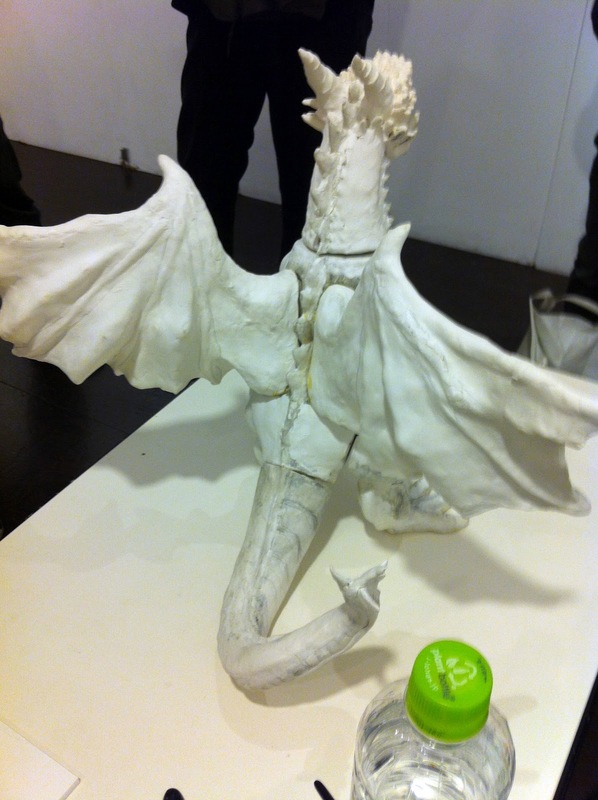 This ability to sculpt movement into a figure is a true mark of crafstmanship. In fact the figure reminded me of an old school Ray Harryhausen stop motion puppet ! I’ll post more pics as he gets closer to completion .. plus I’m hoping to help offer some pre orders and / or a Max Toy exclusive version as well … oh boy I can not wait !! !